The team from Nuway got to learn and had first hand experience with using LATICRETE MVIS and Eldorado Stone materials, with our LATICRETE Technical Sales Representative, Nick Collett and Warren Miller, from Adbri Masonry. 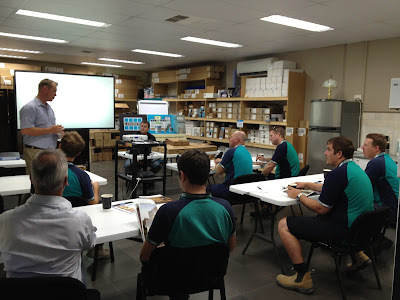 The morning workshop was a success and enjoyed by all. For more information on MVIS click here, or click here to contact a LATICRETE Technical Sales Representative for more information on our materials or seminars, or call Free Call: 1800 331 012. Team LATICRETE Australia, gets behind Glenn Mannix, NSW Technical Sales Representative, Kerrod Harvey and Dave Knox, QLD Manufacturing in the Movember campaign. 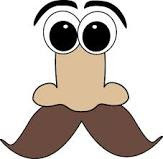 Funds are raised in the month of November for those growing mows in the fight to help find a cure for Prostate Cancer! Good going guys - those mows look great! We are proud of you!!! 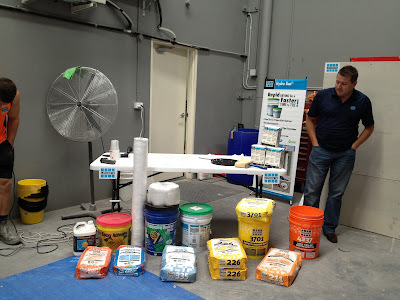 Did You Say Stain Proof Grout? 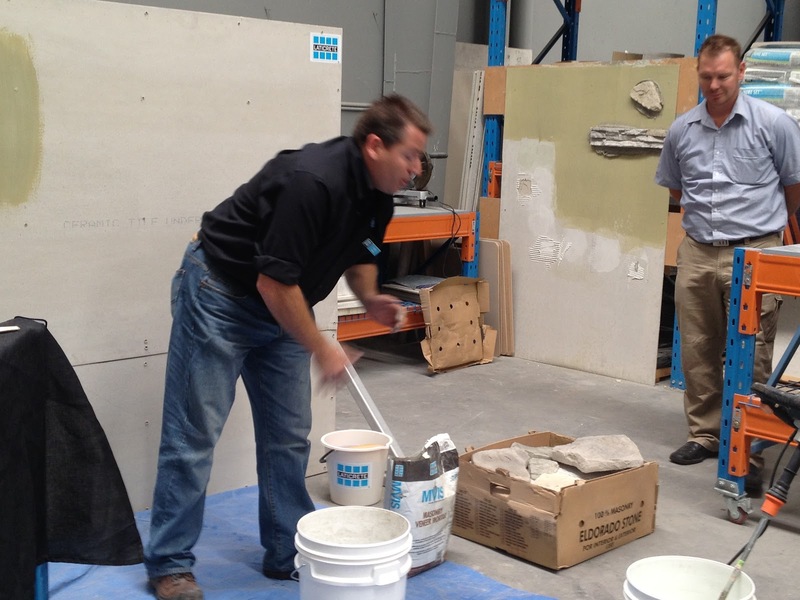 LATICRETE, NSW Technical Sales Representative, Joe Tabone demonstrating SpectraLOCK StainProof grout with the team at 3D Tiling. Stay tuned for a full project spotlight. Click here for more information on LATICRETE SpectraLOCK, click here to contact us or call 1800 331 012. 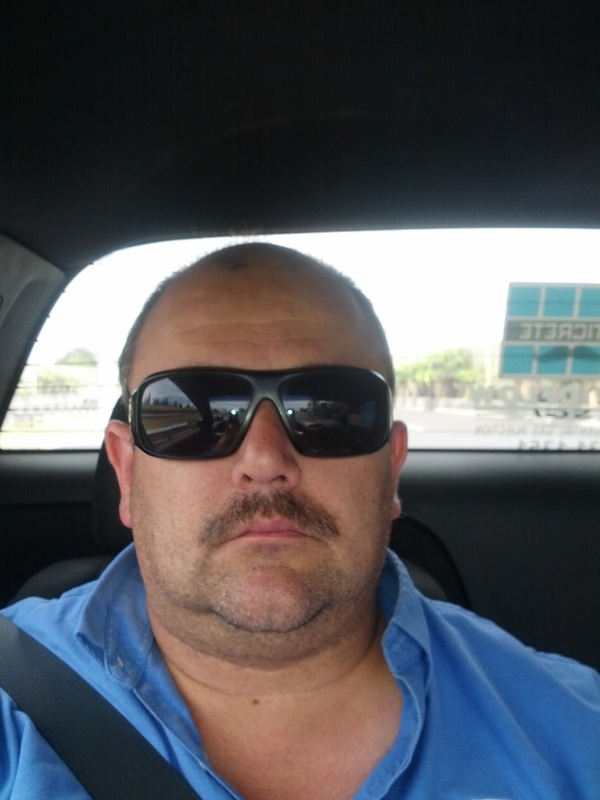 Nick Collect, LATICRETE Technical Sales Representative, QLD. Martin Dobson, Adbri Masonry South QLD Sales Manager. Nick Collett, LATICRETE QLD Technical Sales Rep might not have the moves like Jagger, but he certainly knows how to work in collabartion with Adbri Masonry, Eldorado Stone and Glamstone at a recent combined Trade afternoon held at Centenary Landscapes in Darra. 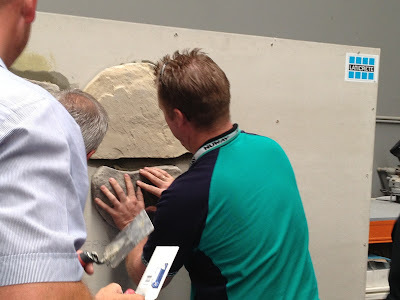 LATICRETE, Adbri Masonry, Eldorado Stone were showing the 25 Year Systems Warranty for LATAPOXY300 and MVIS. Click here for more information on MVIS or click here to contact a LATICRETE Sales Representative. Click here to contact us or for more information call 1800 331 012. Joe Tabone, NSW Technical Sales Representative sent the above photo's on a completed Bassalt feature wall at the Castlecrag residence. The wall has been completed with MVIS. 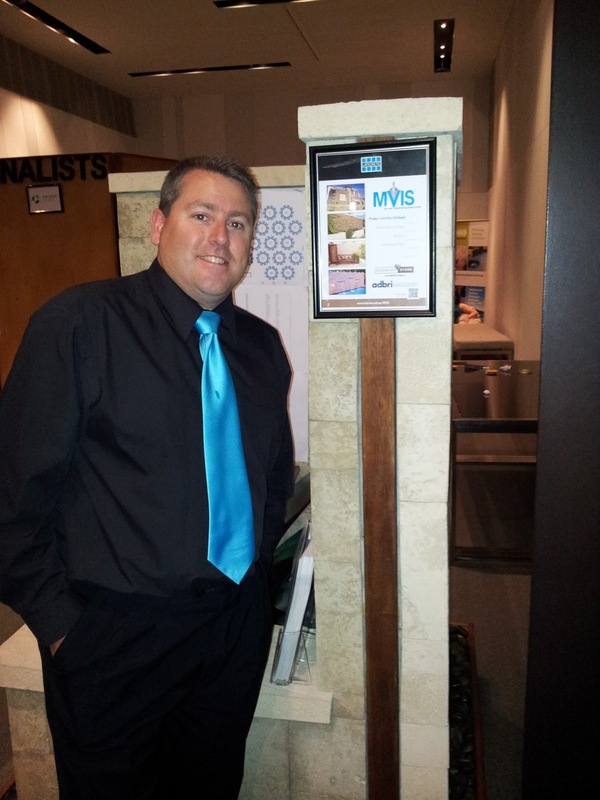 The tiler is Martin from Yuncken Constructions. Click here for more information on MVIS and to watch a video. 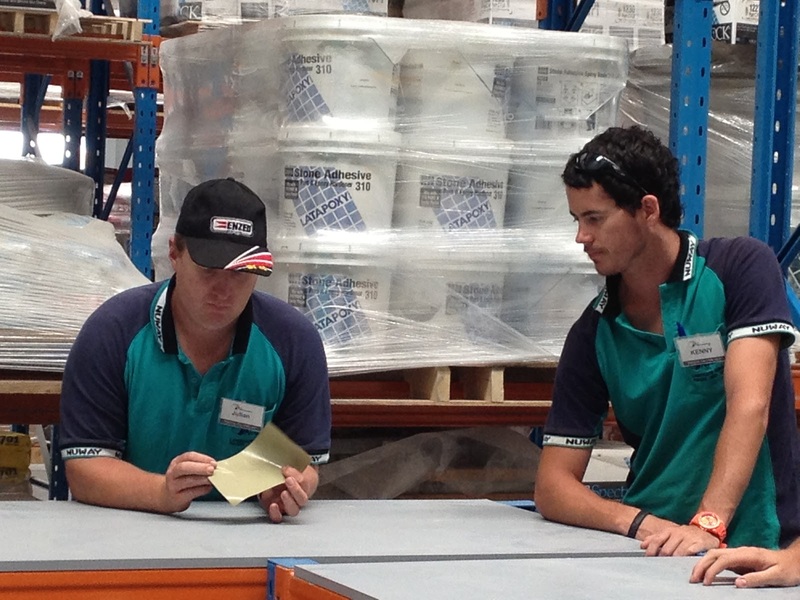 Click here to contact our Technical Sales Representatives or call 1800 331 012. 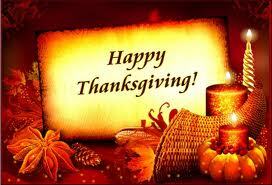 Wishing our LATICRETE team in the U.S.A a very happy Thanksgiving Day, from the team at LATICRETE Australia. 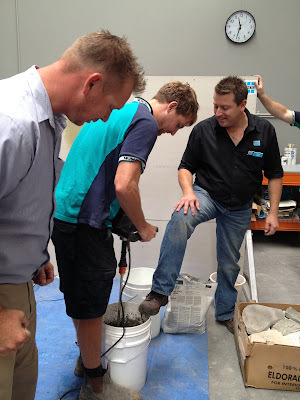 Great participation from our attendees both in the classroom and demonstration areas was had, when our Customers from: Ceramica Senio; Master Tilers Association, V-Vo Mosaics; Slate & Stone Products; Onshore Tiling; 4Blue Pools; Total Terrazzo and The Pool Tile Company got to discuss, learn and get their hands dirty with our materials when attending the PTK. 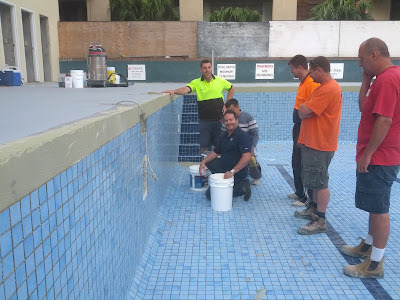 The two day LATICRETE, Tiling Swimming Pool PTK Seminar was a success and enjoyed by all. Click here for more details on our Profit Through Knowledge Seminars, click here to contact a Technical Sales Representative or call Free Call: 1800 331 012. Refer to our blog posting on 9th November 2012 for more details on our Rebate Offer. Conditions apply. Nick Collett Wearing a Tie?! 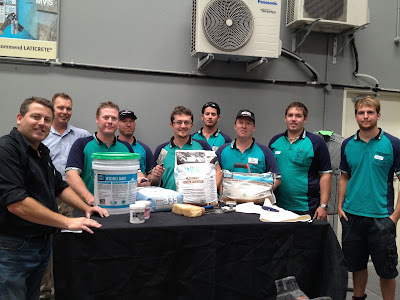 LATICRETE, QLD Technical Sales Representative Nick Collett, at the Adbri Eldorado Stone display with LATICRETE MVIS at the recent 2012 Landscaping awards in Brisbane, QLD. LATICRETE MVIS provides the solution by offering a comprehensive quality controlled installation system. Utilising proven materials, LATICRETE MVIS products include a revolutionary waterproofing membrane, polymer fortified adhesives that provide non-sag performance, a scratch and brown coat mortar, a masonry pointing mortar and a 100% silicone sealant. 1800 331 012 or click here to contact us. The above Dazzling mosaic art piece originates from China. 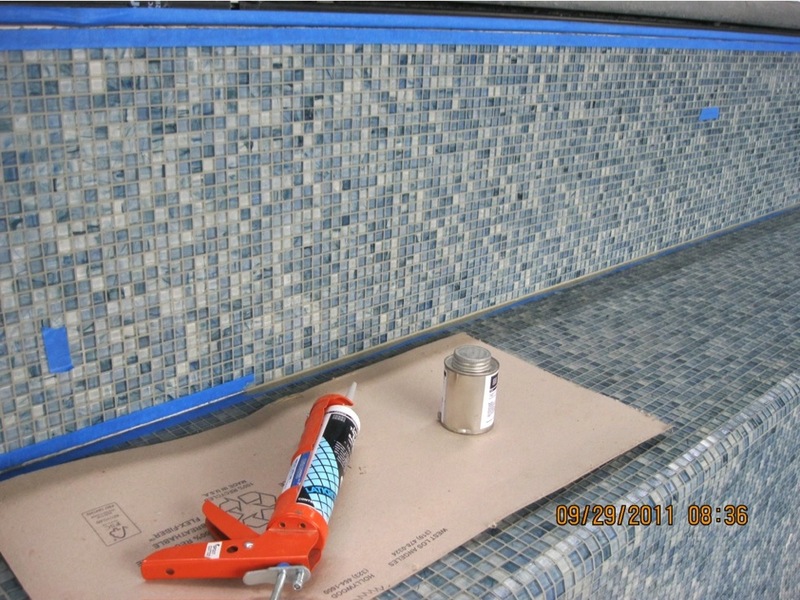 LATICRETE SpectraLOCK Grout Dazzle has been used to give the art piece an extra bit of Dazzle. Use SpectraLOCK Dazzle on walls and floors. Add a metallic look to plain tile and stone. Accentuate metallic tiles, glass tiles, mosaics, stone and listellos with Dazzling colour combinations. Use Dazzle in your pools and spas. Use Glow in your bathrooms, hallways and entryways. 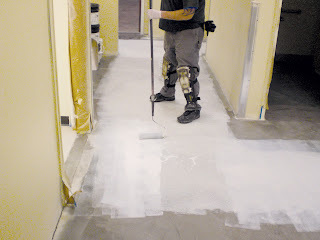 For use in interior and exterior applications on floors and walls. Click here for more information on LATICRETE SpectraLOCK Grout Dazzle, contact us on 1800 331 012 or contact us here. 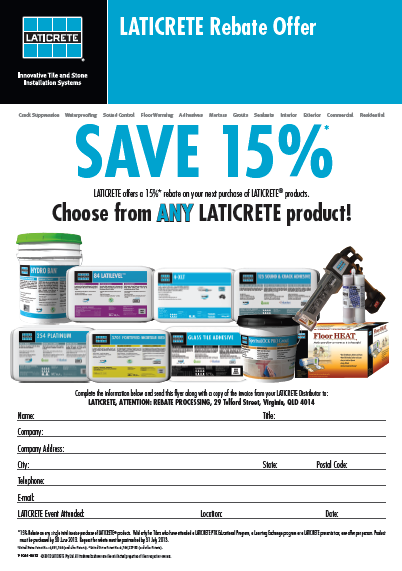 LATICRETE Technical Sales Representatives are actively promoting, demonstrating and present when LATICRETE materials are being used to ensure you get more coverage for your Dollar! 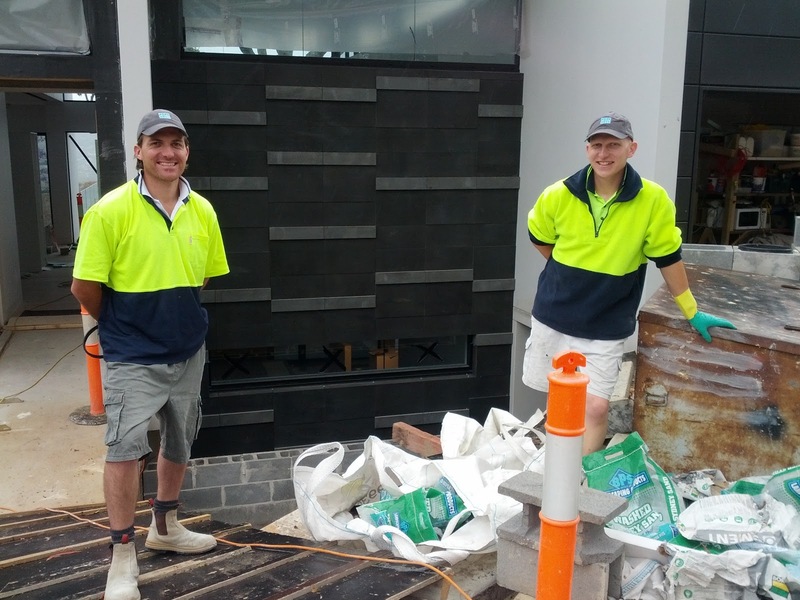 Nick Collett, LATICRETE, QLD Technical Sales Representative sent in the above photo's of M.D & M.T Heazlewood Contractors installing Country Rubble Eldorado Stone. 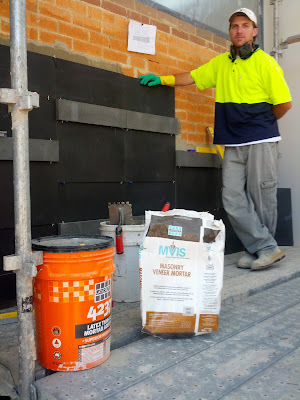 LATICRETE Masonry Veneer Mortar was used at Ainsley Street, Alderley, Brisbane, QLD. 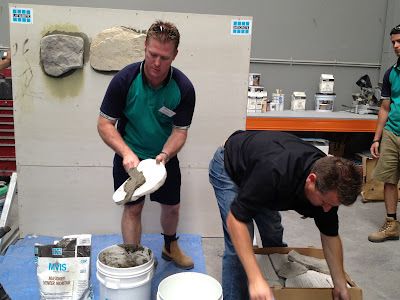 LATICRETE Masonry Pointing Mortar is factory prepared and designed to be mixed with water. 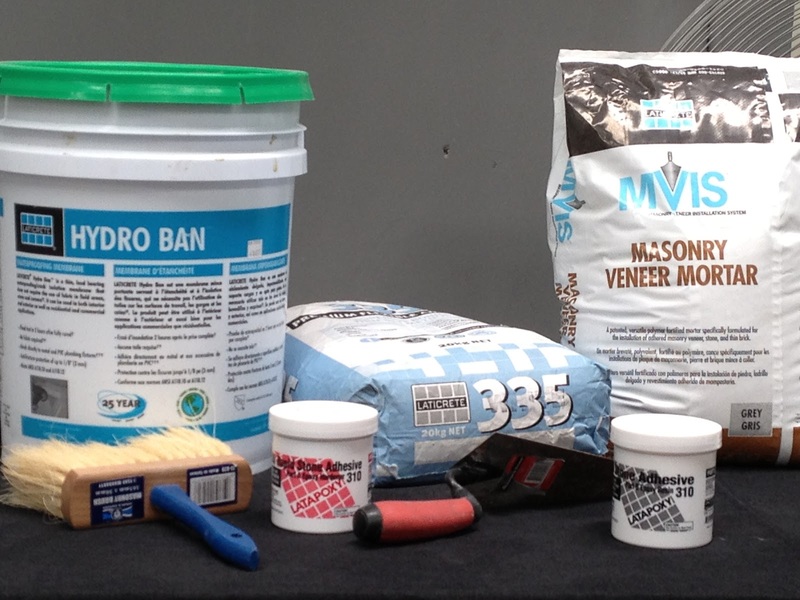 Formulated from a blend of high strength Portland cement, graded aggregates, and colour-fast pigments. Provides a joint that is dense, hard and durable. Click here for more information on MVIS and to watch a video, call our Technical Sales Representatives on 1800 331 012 or click here to contact us. 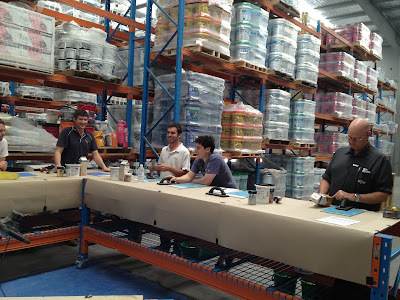 On 9th February this year, we posted a blog on QUT. The Garden Campus at QUT are now busy with Part 2 of this project. Granite pavers are being extensively used with LATICRETE 335 Off White, Multipurpose Adhesive which covers approximately 10,500m2 over the 2 stages. 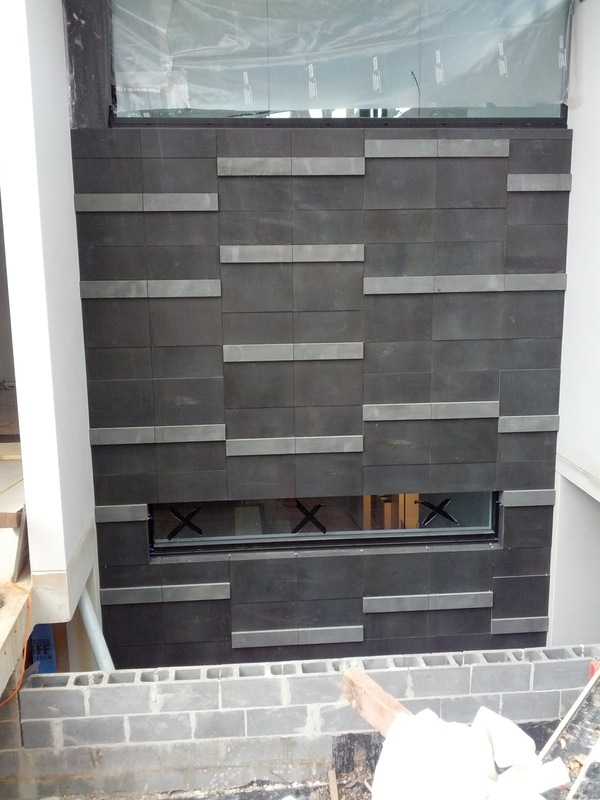 LATAPOXY 310 Specialised Adhesive has also been used with some Granite wall cladding. The Contractor is Bland 2 Brilliant Landscapes. The above photo was used in a very interesting presentation on The Art of Glass Tile Pool Installation presented by Greg Andrews at a recent Total Solutions Plus Industry Event held in the United States recently. Click here to learn more and watch a video on Latasil, or contact your Technical Service Representative by clicking here, or call 1800 331 012 to speak to a LATICRETE Technical Service Representative. Reuben Craig, LATICRETE QLD, Technical Sales Representative sent through the above photo's for a job being carried out and supervised by the owner, Gary Whinnett and his team at Total Terrazzo, tiler John Howarth. 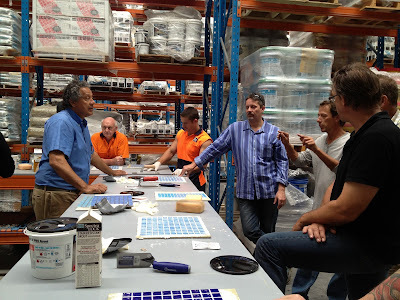 The project is tiling a private home in Indooroopilly, QLD. The bench tops, stairs, floors and walls are all being tiled in stone and LATICRETE 335 Premium Flexible Adhesive is being used for this project. 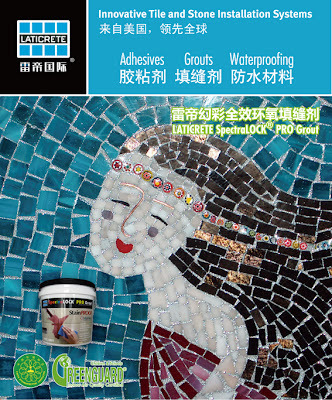 LATICRETE 335 Premium Flexible Adhesive is a high performance bagged cementitious powder to be mixed with water to install low absorption ceramic tile, porcelain tile and natural stone using the thin-set method of installation. More photos will be provided when this project has been completed. 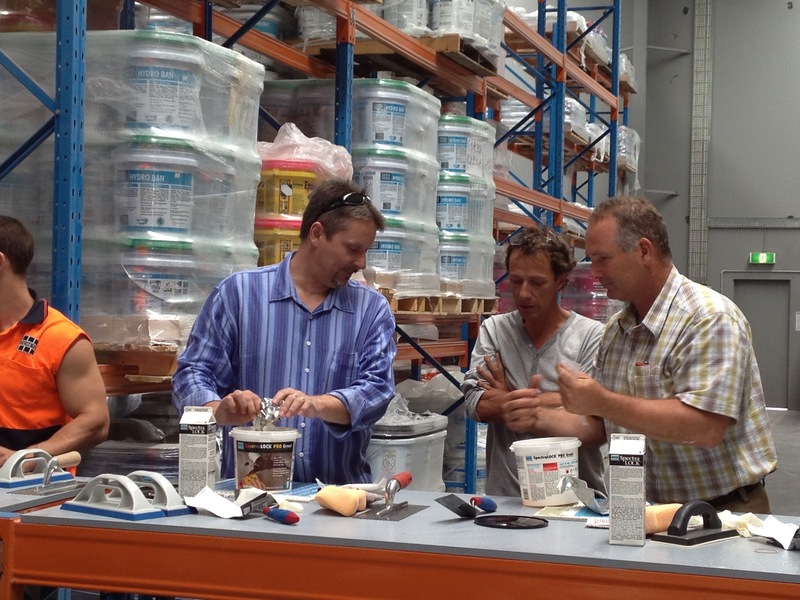 Click here for more information on LATICRETE 335 Premium Flexible Adhesive, click here to contact a LATICRETE Technical Service Representative or call 1800 331 012. 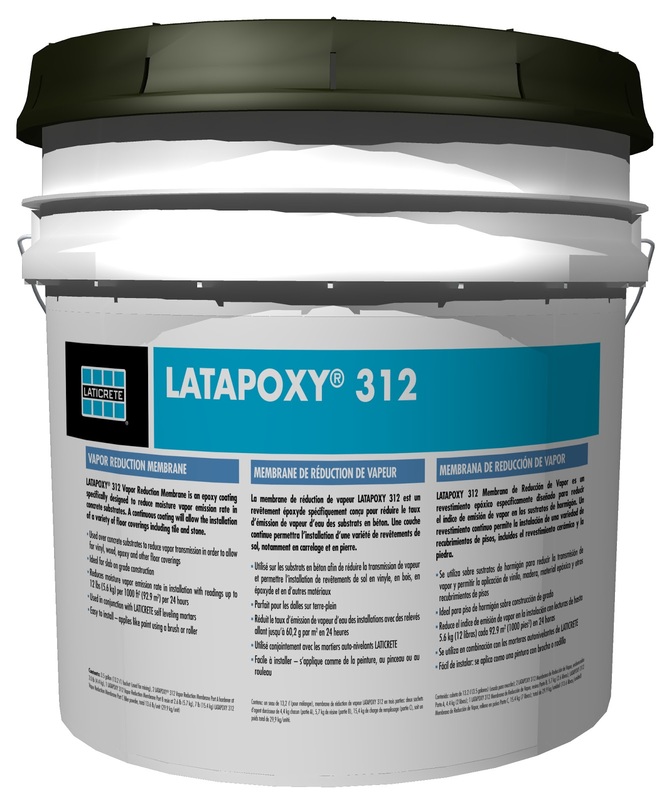 LATAPOXY 312 Vapour Reduction Membrane is a 3 component, roller applied epoxy coating specifically designed to reduce vapour emission in concrete substrates (interior) for various floor coverings. 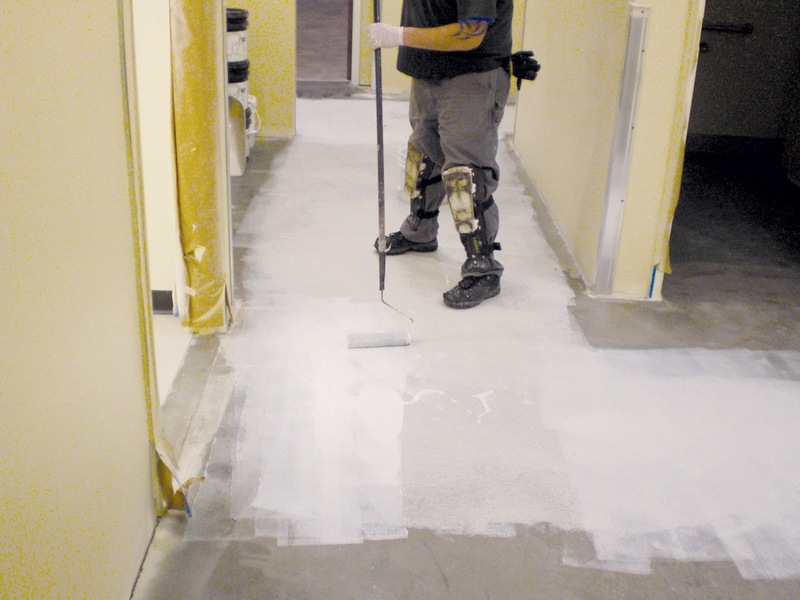 This is ideal for slab-on-grade construction and allows for the installation of vinyl, wood, epoxy, ceramic tile, stone and other floor coverings. 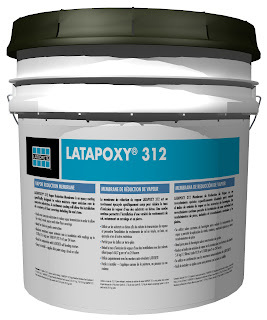 LATAPOXY 312 Vapour Reduction Membrane is easy to install as it goes on like paint using a paint brush or roller and cures in 24hrs, allowing for tilling the next day. 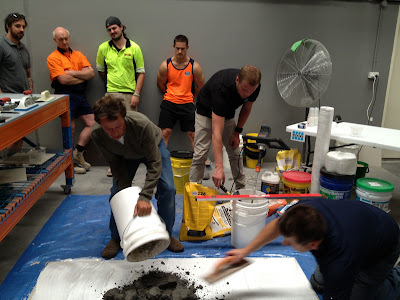 Moisture vapour emission in concrete slabs is reduced from 12 lbs/1,000 ft2/24hr (678 μg/ s m2) to a rate well below 3 lbs/1,000 ft2/24hr (678 μg/s m2). Click here for more information or contact a Technical Sales Rep by clicking here, or phone on 1800 331 012. Have You Got Your Rebate Offer? 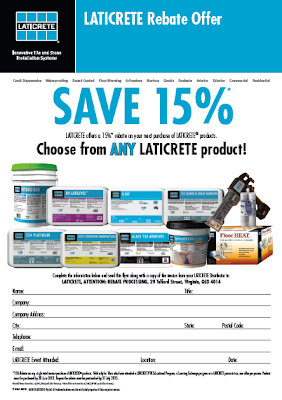 Ensure you grab your Rebate offer of 15% on any single invoice purchase of LATICRETE products. Valid only for Tilers who have addended a LATICRETE PTK (Profit Through Knowledge) Education Program, a Learning Exchange program or a LATICRETE presentation. One offer per person. Product must be purchased by 30 June 2012. Request for Rebate must be postmarked by 31 July 2013. 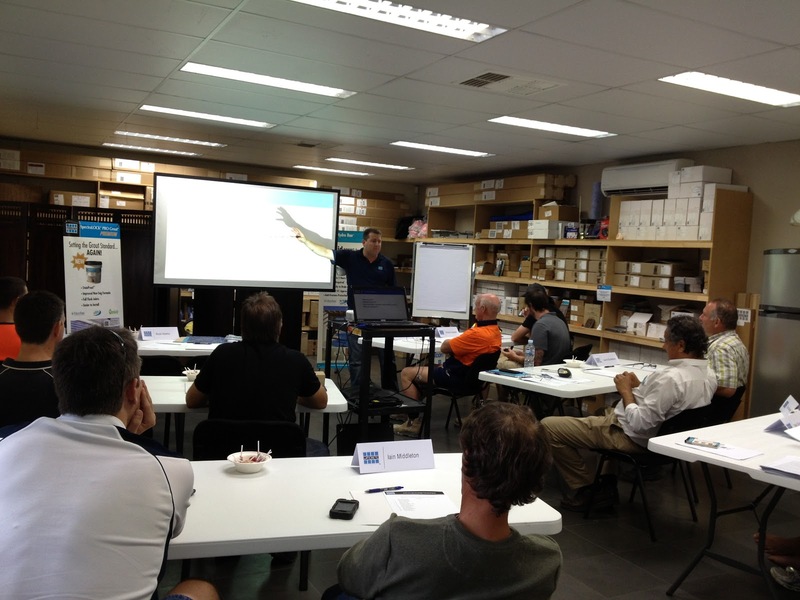 Click here for more information about our PTK and to view the seminar schedule. Click here to contact your Technical Sales Representative or call 1800 331 012 for more information. 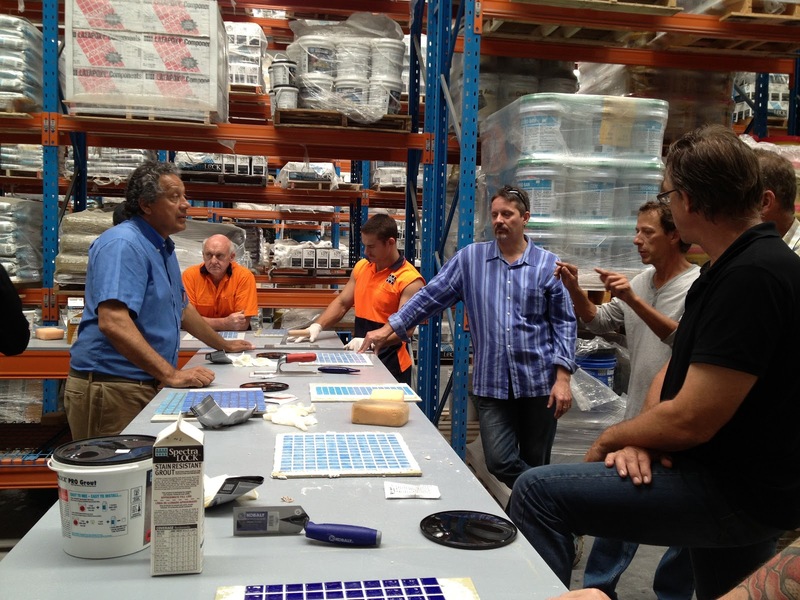 The Australian Profit Through Knowledge Technical Seminar (PTK) is a two day, intensive training program specifically developed for ceramic tile and stone industry distributors, dealers and other industry professionals who want to improve their profitability and increase their productivity as they become familiar with LATICRETE profitable, time saving products. Experienced faculty utilises both classroom instruction and hands-on product demonstrations. Attendees also have the opportunity to meet with key LATICRETE personnel. 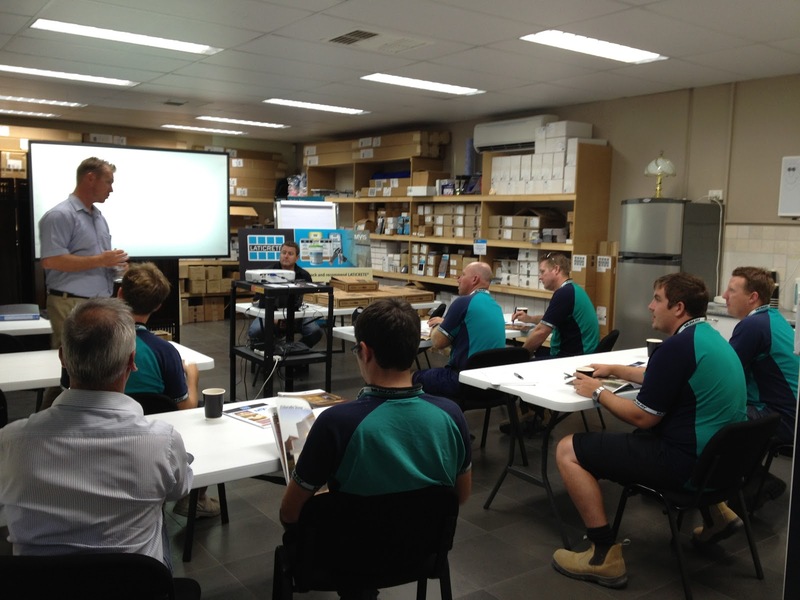 Click here for more information on our Profit Through Knowledge Seminars (PTK) or click here to contact your Technical Sales Representative for more information. 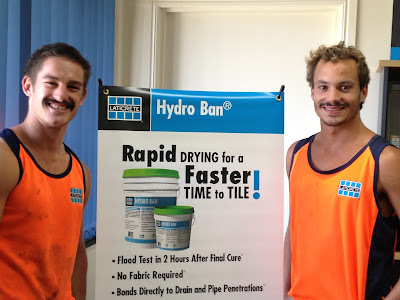 The photos above are the result of a completed tiling project carried out on a commercial building on Elizabeth Street, Brisbane, QLD. 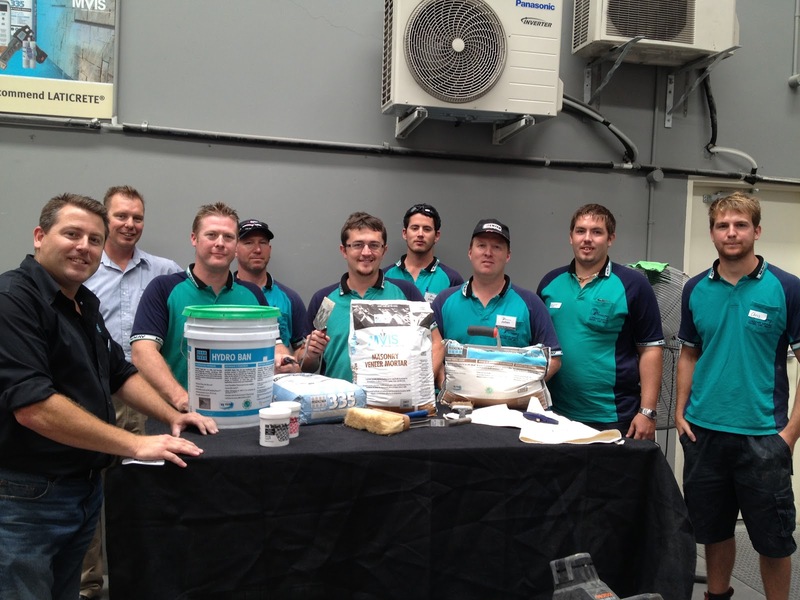 LATICRETE 335 Premium Flexible Adhesive was supplied by Paul Smith from The Tile Merchant to the tiler, Brett Hohn from Bretts Creative Stone. The Kerlite Porcelain tile is 1000x1000x3mm and was cut into individual patterns. Brett has done a fantastic job, as the job was challenging due to the tile only being 3mm thick and had to be laid over timber flooring!